I first heard the Faith studying in the Sultanah Asma Secondary School in Alor Star through Vasugi Ramasamy and S. Rukumani. I accepted the Faith in my heart at the end of 1969, although officially signed up on 3 January, 1970. I was born into a Hindu family. Even as a student I was interested in religions, and was looking for guidance for my life. Although born and brought up the Hindu way, I was even doing Bible courses by correspondence. Soon I became disillusioned as I did not get what I was looking for. Then I told my mother I would like observe fasting the Hindu way with the hope of getting some spiritual enlightenment. But my mother remonstrated, saying it would be a tough process. I assured her I could bear the difficulties, and I did carry out the fast the first day. It was indeed not easy to go without water and food for a full 24 hour cycle from 8 in the evening to 8 in the evening of the following day. Following the completion of the fast I had to be assisted for bath and prayers. It was after that I had to consume food slowly. The first day was indeed very difficult, but I managed. On the second day after that experience, for reasons not known, I wrote a letter to Vasugi Ramasamy asking news of her. But my real intention was to know more about the Bahá’í Faith which she had mentioned in school. I thought finally this Faith may have an answer for my prayers.I liked the teachings of the Bahá’í Faith as they appealed very much to what I was looking for. As soon as I accepted the Faith I was actively involved in the youth activities. In August 1970, the famous Alor Star Youth Choir was set up comprising Chong Boo Haw, Teh Teik Hoe, Remala Nagaratnam, Teh Hong Choo, Wong Siew Lee, Oon Guat Ngoh, Tan Boon Tin, and Chandrasegaran. I too joined them. I was moving actively with the youth in Alor Star. The greatest experience was attending the Oceanic Conference in Singapore in early 1971. I had offered at that conference to go to Tanzania, but the National Spiritual Assembly of Malaysia decided against me going there. I remember being very disappointed. After the conference I returned to Alor Star and continued my routine Bahá’í activities. I used to go whenever it was feasible for activities in Alor Star, Gurun and Sungei Petani. I used to join Ms. Sarweswary for teaching trips with Uncle Nagaratnam. I went once with a group of the young friends for an outing with Teh Teik Hoe, Tan Boon Tin and few others. I remember attending a State Level Youth Conference above the Sungei Petani Bahá’í Centre. But the days passed very fast, and soon I had to move on to Kuala Lumpur. The very kind-hearted Luke Lee presented me a basket when he learned that I was leaving for Kuala Lumpur. I was very sad to learn later that he had passed away. In March, 1971 I moved into Kuala Lumpur to help out in the National Coordinating Unit at the National Baha’i Centre. I stayed with Mrs. Elizabeth Gibson under whose able guidance; I was gaining some administrative experience. I was being ‘groomed’ at the National Bahá’í Centre. I was comfortable with my surroundings and friends; I was conducting the children’s class, mostly with the children of the Chinniahs. I know Nabil turned 10 or 11 during the time I was conducting the classes. During some weekends, I attended training at the National Bahá’í Institute in Malacca, and it was a blessing to have been more deepened. While I was in the center of all these activities, my desire to pioneer was still burning within me. In 1972 the opportunity came again when Hand of the Cause Dr. Muhajir wanted to send Malaysian Baha’i’s to some African countries to fulfill some remaining goals of the Nine Year Plan. Dr. Muhajir was able to get six volunteers immediately- Inbum Chinniah went to Tanzania; T. Thanabalan, Bhaskaran and I went to the Cameroon; Ravichandran went to Swaziland while N.S.S. Silan went to Kenya. Nargis Astani from Indonesia came to Malaysia, and from there came to join us in Africa within a few weeks. I met her in Nairobi when I was preparing to leave for the Cameroon. Ravichandran, Thanabalan and Bhaskaran had already left to their respective destinations a few days after they arrived in Nairobi. 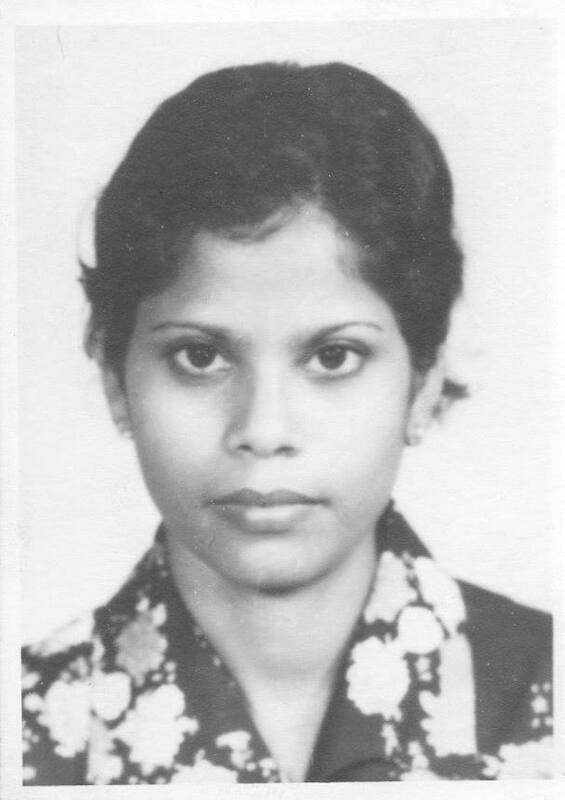 Amataul Baha Ruhiyyih Khanúm was on her way to Nairobi from Mombasa, Kenya. Some Bahá’ís in Nairobi were not reporting to their posts as they were too keen to see Amatul Baha before going to their respective posts. Dr. Muhajir who arrived in Nairobi was very happy to see I was immediately leaving for the Cameroon, instead of waiting for Ruhiyyih Khanúm like many others. Dr. Muhajir told me, “What answer I will give her? Everyone is here instead of going to their respective places”. That evening Dr. Muhajir invited me to go watch a film with him, along with Mr. and Mrs. A. Yazdi and Isobel Sabri – “True Grit”. The following day I left for West Cameroon. Dr. Muhajir had a great liking for the Malaysian Bahá’ís as he felt they would do very well in the pioneering field. He considered them all-rounders well-grounded in many aspects of the Bahá’í services. We all served with great enthusiasm in our pioneering posts. Thanabalan and Inbum Chinniah left for Malaysia after their services were over. Likewise, Silan left for the UK. 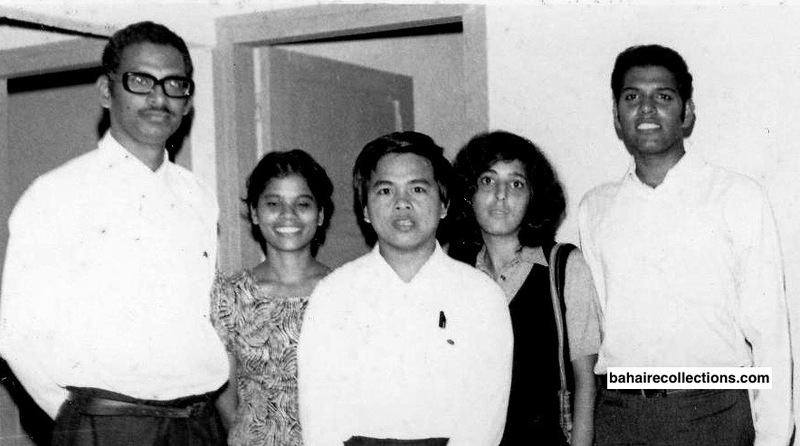 But Bhaskaran went home to Malaysia and brought his family and stayed until 1979. Ravichandran extended his stay in Swaziland for 4 years as he got a job. From among the six from Malaysia I am the only one to have settled in Africa. Here am I in Africa, people of which the Guardian loved most. I am happy to be in this blessed continent serving the Cause. For the first six weeks when I was in Kenya I was traveling with a native believer to different parts, mostly in Kisumu at Lake Victoria. A Bahá’í talk was once arranged at a high school there. A few days before my 22nd birthday that fell on 27 September, 1972, I was asked to go to the West Cameroons or what was called English Cameroon. There I met Thanabalan and Bhaskaran at the home of Mrs. Karen Bare in Victoria. I was travelling with a Persian pioneer, Parvin Behi to visit communities around Victoria, now Limbe. I came to Africa with an open mind. But meeting Pierre Martel sealed my fate forever for the good. I met Pierre Martel when he was visiting the Cameroons during his holidays. Pierre was a student pioneer, studying medicine at the then French University in Dakar, Senegal. 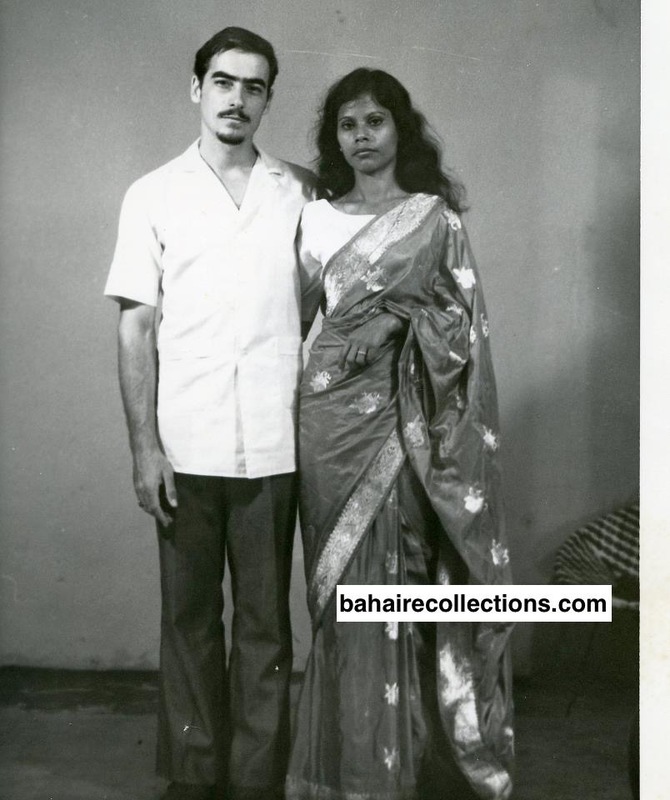 In 1976, we got engaged in the home of Bhaskaran and Sarojini in West Cameroons. We were never stationary in any one place. Africa is a very vast country and the manpower needs are so great. We had to move from place to place according to the needs of the Cause. I was serving as Auxiliary board member in Mauritania, Senegal and Cape Verde Islands for some years, working directly under Counselor Husayn Ardhekani at the time. I was in Senegal from October 1976 to August 1981. We were married on November 6, 1976. We had civil wedding, followed by Bahá’í wedding at the National Bahá’í Centre in Dakar. The late Counselor Husayn Ardikání and his spouse Nosrat who were living in Dakar were very kind to us. They helped organize the reception. Mrs. Norsrat Ardhekani took me to her hair dresser to have my hair done. I sewed my sari blouse and wedded in a blue sari I had with me. With this marriage I stepped into a new phase in my life. Our daughter Uma Carmel was born on 21 September 1979 in Dakar, Senegal. But we lost her after a full term pregnancy due to difficult delivery. She lived some 36 hours in ICU before passing away. We took it as a will of God. Her brother Olinga was born 17 March 1981, in Senegal. We moved to from Dakar to a suburban place to help the community. There we managed to form once again an assembly that was lost. When Olinga was 6 months old we left for Praia, Cape Verde Islands with blessings from the Universal House of Justice. Pierre got government job in Senegal before leaving Dakar. I travelled to Quebec through the generosity of friends. At that time, private practice was not allowed and expatriates would see Pierre or ask his help when someone was sick in the family. Out of gratitude for Pierre the kind hearted friends paid air tickets for me and Olinga who was already 2 and half years. His ticket was only 50%. We lived 14 years in Cape Verde. In the last four years Pierre was already working for UNICEF. Previous to that he was with Canadian NGOs in Praia, and Assomada, serving in regional hospitals. That position allowed us to visit my parents in 1985 with two children. That was 10 years after marriage. Rani turned 2 in Klang at my brother’s place. My mother was sorry that I was burnt under the scorching heat of the African Sun! Meanwhile Olinga had left for Maxwell in 1993 from Assomada having finished his primary, and Rani joined him in 1995 from Assomada too. We were in Cape Verde from August 1981 to September 1995. I became a naturalized citizen of Cape Verde – Cabo-verdianna! So I am now rooted in African soil. We moved to Lesotho in 1999, arriving January 6 and are here to date. 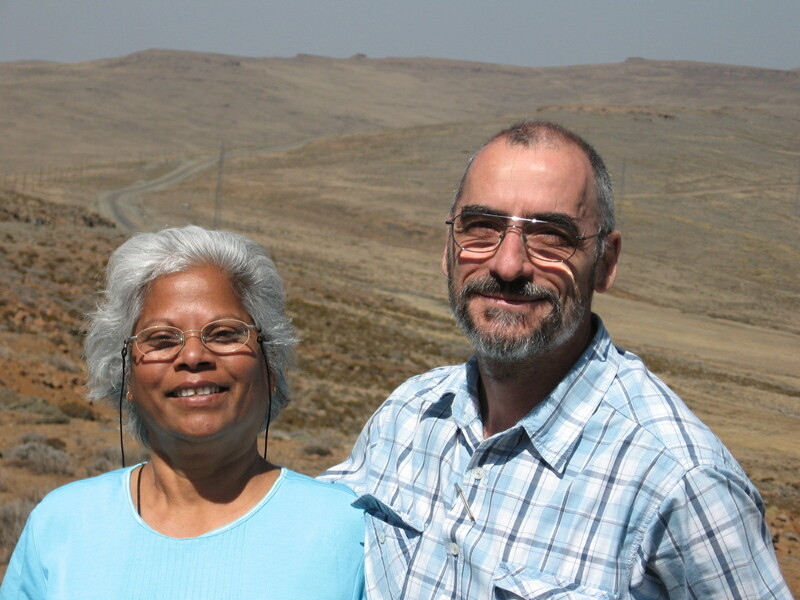 When Rani was studying we stayed in Maseru, capital of Lesotho for four years. But we kept rooms in Mokhotlong and Pierre would visit Mokhotlong regularly. Sometimes I would go or Rani with her father during holidays. After she flew away we moved to Mokhotlong. We keep lodgings in Maseru so we have a place to stay when we go ‘down’ from the mountains. Olinga is married. His wife is from Lesotho. They have three children – a boy 11years old, two girls 9 and 4. Presently they are in Cape Town, South Africa. His based there for his job, as a pilot. Our daughter Rani is currently living in Canada. After arriving in Victoria (today Limbe), I was most of the time involved with other friends in teaching. After some time – the Assembly asked me to help with Administrative work at the Bahá’í Centre, as they felt I had some experience in Malaysia. Dr. Muhajir visited and was highly disappointed I am sure and gently got the Assembly to release me from that and I was back travel teaching. Dr. Muhajir came a second time while I was still in the Cameroons. He came by road from Nigeria, travelling by road. He had passed a night with Counselor Mehdi Samandari and Ursula Samandari in Buea. The following day Dr. Muhajir attended a meeting with the Assembly. Although the distance from Victoria was not long, he was too tired to make the journey. He simply told Dr. Samandari, he was staying at my place. Dr. Samandari was protesting saying Dr. Muhajir was not having his night clothes, tooth brush and other toiletries. Dr. Muhajir turned round to me and asked “Kamachee Jan, do you have a sarong?” I said I do have. And so he slept at my residence that night! There was another Persian lady, in her 50s, who was staying with me and she was so excited and prepared the meal. We felt so happy and blessed to be of service to the Hand of the Cause of God. He washed whatever he needed to wash and had dinner with us. After that he wore a flowered sarong. He did not wear a shirt as it was so hot and humid in Victoria. By then some pioneers and friends came to know Dr. Muhajir was with us and they rushed to visit him. Dr. Muhajir spoke to those pioneers and friends till midnight. He requested we opened all the windows where we were meeting. He finally chanted a prayer and asked the friends to go home. Once they left Dr. Muhajir did not sleep straight away. He asked me if I had any Malaysian Bahá’í News magazines with me. I gave him whatever I had, perhaps ten issues. I do not know what time he slept. At 4 am the light was still on. The following morning, my friend prepared the bath for Dr. Muhajir. She scrubbed clean the tub. In old Victorian kind of houses, the sink or tub stoppers are all metallic. She had the misfortune to put the sink stopper and it was impossible to get it out. She filled the tub with tap water and added hot water and requested Dr. Muhajir to have his bath and she told him she would scoop the water after he had taken his bath. Dr. Muhajir understood the difficulties. The kind hearted Dr. Muhajir turned to me and requested me to place a bucket of water behind the house. Once that was done he took his bath from the back of the house, with the flowered sarong and sleepers on. Within that one day of his stay with us, Dr. Muhajir had taught us not with words, but with deeds. He was a great example of how a pioneer has to be humble, down to earth and practical. He himself set example to pioneers. I traveled to the Indian Ocean Islands of Mauritius, Seychelles, Réunion for meeting of the Auxiliary Board Members, as I was re-appointed while traveling in these Indian Ocean Islands. I also traveled to Madagascar where Pierre joined me. I had always a fancy to visit these islands while still in Cape Verde. In many of these places I joined the pre-youth and the special classes for women. It is unbelievable that quite immediately after accepting the Faith I pioneered to an unknown African continent and ended up rooting myself there. My life has been meaningful. I have a very considerate husband and together we live to serve the good pleasure of the Lord. However a pioneer’s life can be very complex with lots of difficulties, tests, challenges and opportunities. Even if one is living under comfortable surroundings one would still have tests and difficulties. Everyone has tests and it all depends how we face them. Of course if we choose to serve Baha’u’llah, whether in your country of birth or in the pioneering post, we do according to our strength and capacity. In the course of tests, it is best to face them objectively and submit ourselves to the Will of God. We have learned to accept all tests and difficulties with a happy heart- all for the Love of His Faith.